Should the People's Administration install direct democracy, we propose a policy to increase protection of the natural environment whilst revitalising the UK farming industry and strengthening the domestic economy through mass hemp cultivation. In 2011, we contacted the NFU with a request to inform its members about this policy proposal so as to get around the mainstream media blackout against the PA but, the NFU refused and then joined the blackout against the PA and in our view, their decision amounts to an absolute betrayal of its own members and UK voters alike. In 2015 and in sheer hypocrisy, the NFU then broadcast appeals for the public to provide mechanisms by which their members could interact with them so as to try to find solutions to the problems that UK's farmers face. 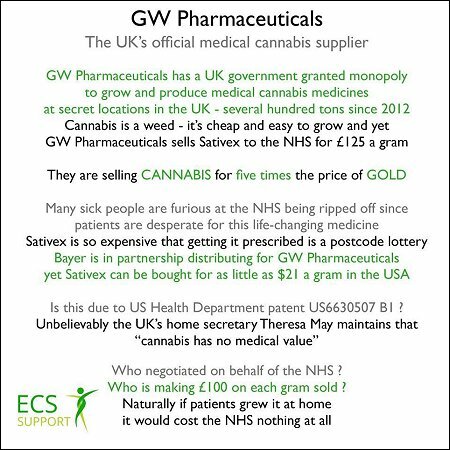 • UK hemp would raise £1 BN a year in taxes alone! Along-side hemp cultivation, we also propose that personal use of hemp is legalised [not decriminalised] so that we can take control of the black market to enable for a reduction in crime and an additional increase in the UK economy. Under so-called 'representative' democracy, the ultra-conservative UK will be dragged kicking and screaming into a new era of health, wealth and common sense and while MPs tout that such a policy "sends the wrong message", they sink their heads into the sands of hypocrisy as cigarettes and alcohol abuse remains legal. In a TV debate in early 2015, David Cameron asked; "What will parents tell their children if we send out the wrong message about cannabis use?" In response, we suggest that these parents simply tell their children the truth of the dangers of cigarettes and alcohol. Thought it was just CBDs in cannabis that aids health? 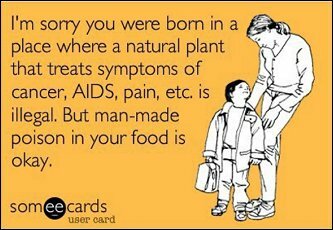 Think again., because THC [the element that gets us 'high'] has also been discovered to be a health aid too! • Supreme Court judges rule; "Smoking cannabis is a basic human right." Since 2012, opium poppies are now cultivated secretly for morphine and codeine [for use in painkillers] by British farmers in Oxfordshire. The farmers [contracted to McFarlain Smith under licence with the home office] are not allowed to disclose any information about this and conveniently, neither are Mcfarlain Smith. In its 'war on drugs', NATO has destroyed so much of the Afghan opium trade that we ourselves now have to cover the shortfall! This confirms that the war on drugs is a war about profit - not health, because we are destroying the Afghan opium trade so that we can dominate the international opium markets ourselves, when we could have been supporting the Afghan opium trade as part of the rebuild effort [rebuilding includes considering relationships as well as infrastructure and economies]. Within Afghanistan - a predominantly Islamic country, how much resentment towards the West is this alone going to generate - especially after our military occupation of their country and the complete lack of NATO-accountability regarding Afghan civilian deaths due to NATO bombs? The mainstream UK media has not reported anything about this and in our opinion, the UK media [along with our own government] are complicit in committing treason against the people of both the UK and Afghanistan, as it is both peoples who will suffer the consequences through absolute poverty in Afghanistan and more terrorism in the UK. As per usual in situations like this, David Cameron and his buddies will not though be affected in the slightest and, it is the people who will suffer the consequences instead. Our policy - proposed directly to David Cameron and his team in mid-2010 by Alex Romane [PA founder] to cultivate hemp bio fuel, food, medicine, fabric and paper pulp crops in the UK was rejected for being too controversial. This was despite the potential benefits to the environment and to the economy and, despite the policy not including the legalisation of hemp growing or its use/abuse, but merely the mass-licensed cultivation of hemp by UK farmers. At the time, we were told that they would implement the policy but, with other crop types. However, they wouldn't disclose which crop types they were considering cultivating. The People's Administration's hemp cultivation policy calls for the synthetic production of hemp bio fuel, hemp paper pulp, hemp fibre, hemp food and hemp medicinal crops on all UK farms whilst calling for the encouragement of a domestic UK market for bio fuel compatible vehicles and paper consumers. Refining and distribution of bio fuel from hemp could be handled by the UK oil industry as it diversifies to include bio fuel. Currently, the Home Office licence to grow hemp allows only hemp cultivation for fibre and, it does not allow for seed cultivation - meaning that seeds have to be imported. This is an unnecessary import that increases production costs and compromises quality. With the major vehicle manufacturers in Europe increasing production and export of bio fuel-compatible vehicles, there is now the potential to encourage a market for bio fuel compatible vehicles within the UK. Such a market could be stimulated by offering UK manufacturers and consumers a range of incentives and, by implementing a highly aggressive marketing strategy that promotes the cost benefits to the consumer, the health benefits to the consumer and, the benefits to the environment. UK government hand-outs given to recession-hit automotive and aircraft engine manufacturers could have been given ONLY to manufacturers who would diversify and go green but, this opportunity was missed. Hemp paper pulp and material produce would become an alternative to paper and fabric imports, meaning less deforestation and less expense. It is fast-growing with a harvest cycle of approximately three months and could be grown under licence up to the stage just before the active ingredient THC becomes present. Hemp has thousands of known medicinal uses and is one of the world's strongest natural fibres. Hemp is used in many medicinal products with many cosmetic products already being imported and sold in the UK. Whilst THC [just one of the active ingredients in hemp] can be known to cause some potentially negative mental side effects in some people who smoke hemp, British government scientists have recently discovered properties of hemp that also contain a control for Psychosis and other mental illnesses as well as properties that can aid physiological healing of the body. We reiterate; British government scientists have themselves recently discovered that hemp also has a property that literally cures psychosis, whilst acknowledging that another property [THC] can sometimes cause psychosis. During the late 1930's, Henry Ford built a range of automobiles [banned by the US government from going into mass-production] constructed from a hemp polymer and which ran on hemp oil and, hemp has been used for paper, food, medicine, clothing and rope for thousands of years. In the early part of the previous century, the US government used the law to enforce all farmers to grow hemp and, it was considered to be so central to the US economy that farmers who refused to grow it were actually criminalised and imprisoned. However, Dupont and others bribed the US government so that they could flood markets with synthetic products and not have to worry about competition from nature/God, and the law was changed overnight. Farmers were suddenly locked-up for growing hemp and the US government launched a national anti-cannabis propaganda campaign. 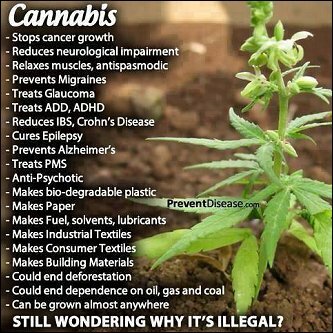 If you think that growing and/or consuming hemp is illegal due to health and social reasons, then remember how many people die in the UK each day due to the consumption of legal substances and, how much money the government makes in revenues from the sale of these killer substances. If one of nature's most powerful aids to individual and communal well-being is outlawed, are we saying that nature got it wrong? If we got it so right, then why is the world suffering so needlessly? • 80 per cent of the world's rainforests have already been either destroyed or degraded, and half of that has been in the last 30 years. Illegal and destructive logging, industrial-scale farming and climate change all threaten the remaining tracts of forest that have stood for thousands of years. • The equivalent to 7 football fields per minute lost! • Within a four-mile square area of Brazilian tropical forest there are over 750 species of trees, 625 species of mammals, birds and reptiles. Most of these species are found nowhere else in the world. Extinction is a natural process but rates are increased by human activity. • Each year up to 50,000 species disappear along with potentially healing plant medicines [137 per day/6 per hour/1 per 10 mins]! • From storing carbon to recycling water into the atmosphere, it's increasingly clear that ancient forests play a critical role in the regulation of the global climate while their destruction is a major contributor to climate change. 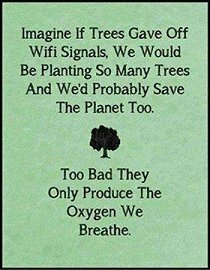 • Deforestation accounts for approx. 20% of all CO2 emissions - more than the entire global transport sector! Cleaner emissions from domestic vehicles and less deforestation. Less palm and sugar cane bio fuel crops that actually harm the environment and increase world poverty. A reduction in road tax charges along with other incentives could encourage UK consumers to buy bio fuel compatible vehicles. This tax-loss could be recovered by using money saved by not having to pay the UK farming subsidy as well as by using a tax levied on bio fuel sales. Under synthetic conditions, hemp could be produced on all UK farms by reclaiming the use of the land that each farm has for years, had to leave unused by law. Doing this also offers a new form of diversification to the farming industry, which could increase profits for farmers making the industry more independent of subsidies of any kind. This could mean the cessation of the European Farming Subsidy paid to Uk farmers. UK poly tunnel and growth-technology manufacturers will experience an increase in productivity as they meet demand from the farming industry. Companies that refine, distribute and sell hemp products will also become highly productive. Refining, distributing and selling bio fuel could be handled by UK oil companies as they are currently in place to do so and, at some point in the future these companies will need to diversify if they are to survive as oil is not a renewable energy source. Farmers could potentially become so productive through cultivating hemp that employment rates increase within the industry. This could also happen for industries and companies who supply the farms as well as those who buy, use and re-sell hemp products. The increased productivity within the farming industry should mean that UK farmers would no longer be reliant on subsidies to survive. Funds allocated for the National UK Farming Subsidy will become a saving that could subsidise the reduction in income of road tax [should a reduction be offered as an incentive to bio fuel compatible vehicle customers]. Europe no longer wants to contribute towards the UK farming subsidy so removing this diplomatic burden would increase relations between the UK and Europe. If the UK acts early with the production of hemp bio fuel and materials, we could find export markets in Europe. These markets would probably be limited in their sustainability as other countries may start to become self-sufficient. In this case, the UK would have become a roll model and the future loss of income from supplying these markets would be replaced by an increase in respect, integrity and status internationally, which would benefit all UK businesses trading in global markets. Independence regarding importing oil - the benefits should be obvious to all. Using hemp pulp grown on UK farms as an alternative to paper, means more independence from foreign suppliers with fewer imports, making the UK economy stronger whilst having less impact on the environment. Exports of hemp paper to other countries could also strengthen the UK domestic economy. Potential Reduction in road tax revenue. Support from the farming industry which has been neglected by many governments for many years. Support from people who support the protection of the environment. Support from people who are resentful at paying higher and higher charges to drive their vehicles. Support from people who are resentful at paying higher taxes to protect the environment. Enhanced independence from Europe, as Europe no longer wants to fund the UK Farming Subsidy. Enhanced relationships with other countries that are seriously committed to the Kyoto agreement. Future relationships with foreign oil suppliers will become weaker as their products will have less demand from UK markets.